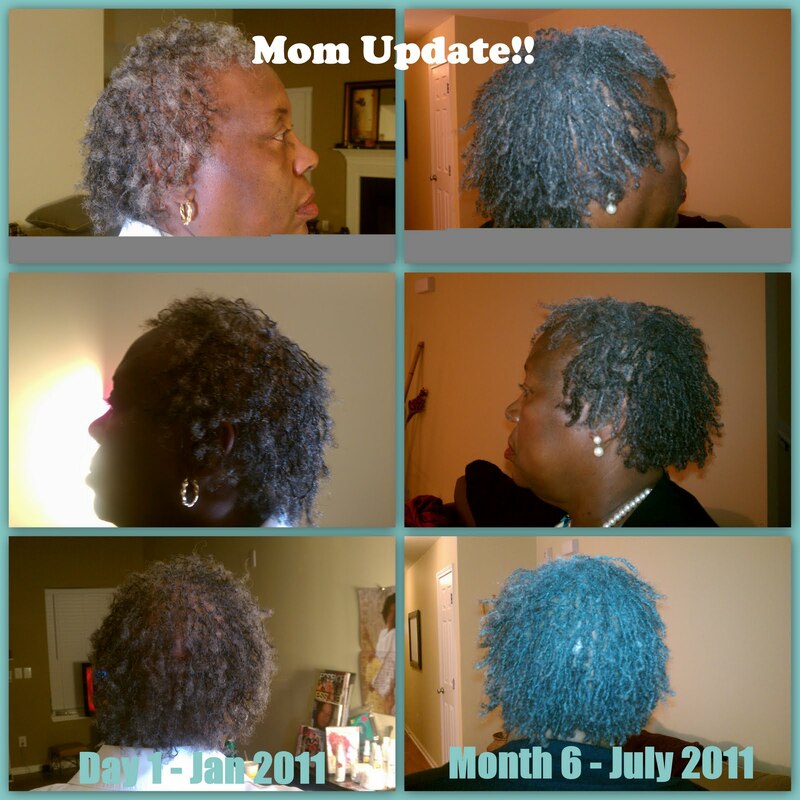 ♥Reeta and Her Sisterlocks® Journey♥: Momma's Locks @ 6 months!!! I joined the Sisterlocks® family on May 31, 2008 and became Sisterlocks® Consultant Trainee in October 2008. now a Certified Sisterlocks® Consultant (October 2010). I don't keep this updated nearly as much as I thought I would...but, enjoy! Momma's Locks @ 6 months!!! So...I don't even know if I mentioned my mom finally had her Sisterlocks installed in January of this year! Whoohoooo!!!! Well here is a comparison pic of her at 6 months! Ur mom's hair looks great! See, I'm Officially a Certified Consultant!